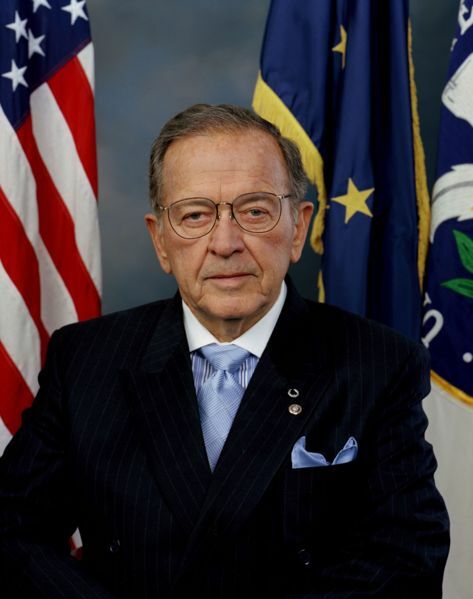 Did HAARP take out Sen. Ted Stevens for exposing Obama’s weather war? A new report prepared for Prime Minister Putin by Russia’s foreign military intelligence directorate (GRU) states that a former top United States Senator, Ted Stevens, was assassinated this week after he attempted to gather evidence “proving” that President Obama has unleashed America’s devastating “weather weapons” against the world. As we had previously reported on in our August 3rd report titled “Russia Burns, China Drowns: US To Blame?” Russian research scientist Dr. Andrey Areshev has joined the ranks of international scientists and experts stating their belief that the extreme weather chaos currently battering our planet is being caused by the Tesla technology based weapons systems directed from Alaska’s High Frequency Active Auroral Research Program, otherwise known as HAARP. Upon Senator Stevens beginning his investigation into HAARP’s causing the crash of the Major Malone’s C-17, this report continues, he enlisted the aid of two powerful Washington power brokers, oil fortune heir William “Bill” Phillips Sr. and former NASA administrator Sean O’Keefe. Phillips was a longtime ally and supporter of Senator Stevens and as the heir to the Phillips Petroleum fortune is said in these reports to have in the past used his vast fortune to privately finance US intelligence “activities” to support his country’s efforts to gain access to global oil reserves. Phillips had long warned Americans that the United States does not have any big oil companies. And it’s true: the largest American oil company, Exxon Mobil, is only the 14th largest in the World and is dwarfed by the really big oil companies — all owned by foreign governments or government- sponsored monopolies — that dominate the world’s oil supply. With 94% of the world’s oil supply locked up by foreign governments, most of which are hostile to the United States, the relatively puny American oil companies do not have access to enough crude oil to significantly affect the market and help bring prices down. Thus, ExxonMobil, a “small” oil company, buys 90% of the crude oil that it refines for the US market from the big players, i.e., mostly-hostile foreign governments. O’Keefe was the former administrator for the Untied States space agency NASA from 2001-2005, and whose reign included the Space Shuttle Columbia disaster that occurred on February 1, 2003, when upon its reentry into Earth’s atmosphere disintegrated over Texas, and which this report says O’Keefe “always” blamed on HAARP because at the exact time of this tragedy it had begun transmitting in what is called “deep sea communication mode”. [Background Note: During the “Navy Deep-Sea Communication” operational mode, the shortwave radio pulses are all, with military precision, exactly 6.25 seconds long with either exactly 15 or 30 second spaces between pulses. Those long and short binary spaces in between the pulses are actually the coded message. Something like the dits and dahs of very slow Morse code. In this mode, the power is usually at maximum. Unlike the research mode, which mostly runs at night, the US Navy communication mode can be at any time of the day or night, any month of the year. The transmissions may run continuously for about 10 to 30 hours, or from one to several days. The various transmission ranges of HAARP are important to note, this report says, as “immediately prior” to Senator Stevens’ plane going down Russian satellites orbiting over the Arctic detected a “powerful” 3.39 megahertz signal emanating from HAARP’s Copper Valley Area, Gakona, Alaska base and “directed” over the region this tragedy occurred in. According to US news reports Phillips was killed in this crash [photo 2nd left] and O’Keefe is in hospital in critical condition, and with Senator Stevens being killed also means their investigation into HAARP has died along with them. The greatest heatwave and destructive fires Russia has experienced in over 1,000 years. The greatest flooding Central Europe has experienced in over 800 years. Flooding in Pakistan so epic the United Nations has named this megadisaster as being worse than the 2004 tsunami that shattered the Indian Ocean basin. Flooding so catastrophic in China the death toll is soaring into the thousands. A heatwave so terrible in Japan it has caused its hospitals to be flooded with over 21,000 heatstroke victims. A heatwave of unprecedented proportions that has gripped the eastern and southern parts of the United States this summer and shows no signs of abating. Temperatures so low in the western United States that farmers in California are now reporting their fruits and vegetables are being destroyed. A catastrophic drought hitting Africa that has put over 10 million people in immediate danger of starvation death. A catastrophic winter occurring in South America that has killed in Bolivia alone between 3-6 million fish and thousands of cattle in Brazil, and hundreds of people. “Normally the jet stream is a giant loop of high speed winds that whip round the upper atmosphere. The jet stream isn’t involved in day to day weather – it’s too high up – but because it pushes the atmosphere around it’s very important in steering large scale weather patterns below. “The stream has split in two. One arm has gone north, another south. The patch in the middle is Russia’s drought. A circulating pattern of air has been sitting over Russia for far longer than normal, causing the extreme temperatures and wildfires they’ve had there. “But what’s happening over Pakistan is even stranger. The southern arm of the Jet stream has looped down so far it has crossed over the Himalayas into north western Pakistan. Experts at the Met Office tell me this is very unusual. “HAARP (High Frequency Active Auroral Research Program), being constructed for the Air Force and Navy by an ARCO subsidiary, is such a project. Touted as scientific research, HAARP is a thinly disguised project to ‘perturb’ the ionosphere with extremely powerful beams of energy to see what military uses it can serve. According to the HAARP RFP, these energy beams will be used to ‘control ionospheric processes in such a way as to greatly enhance the performance of C3 systems (or, to deny accessibility to an adversary).’ That sounds like a weapon to this writer. Other such projects go by the code names BIME, RED AIR, CRRES, EXCEDE, CHARGE IV, WISP, ACTIVE, HIPAS, RADC, AIM, etc.. The catastrophic flooding in China and apocalyptic heat and fires in Russia put both of these US enemies in the position of having to ask the Americans for food aid as their summer crops are being destroyed on an unprecedented basis. The epic flooding occurring in Pakistan is effectively destroying that nation’s ability to both feed and defend itself and whom Obama has labeled as one of the Americans number one enemies. The devastating heat occurring in the United States will enable Obama to push through the US Congress a “Global Warming” tax agenda many believe will be the “final nail” needed to destroy the United States as a major world power. To the “unintended consequences” of Obama’s “weather war” against the world we can now only glimpse as the wholesale destruction of summer crops in the Northern Hemisphere is now warned will cause food riots as inflationary pressures upon what little food is left to feed our Planet can very well push us all into Total Global War. And finally, though we do not know what the outcome of these momentous events will be, it is in our knowing to warn, that above all else, everyone reading these words should make the storing of food their top priority as this Summer of Woe will surely become a Winter of Discontent. This entry was posted in Environment, War and Peace, Weather Modification and tagged enmod, geoengineering, haarp killed ted stevens, obama weather war, pakistan floods unnatural, russia fires unnatural. Bookmark the permalink. This website is in violation of the US Department of Homeland Securities departmental doctrine #382 forbidding fomentation of conversations expressly prohibited by the purification of rapport doctrine (e.g. subsection 4 of the revised acceptability code among others). You are here bye officially notified that this page must be taken down in compliance with the aforementioned article. Furthermore, the websites creators, sponsors, and contributors have and will continue to be identified by the Department of Homeland Security as “enemy combatants” in compliance with the Bush-Obama articles of containment and defense. Further participation in this site, or others like it will result in sanctions and actions against those involved, up to and including extreme measures as defined in the Bush-Cheney articles of retaliation. We thank you for your understanding in this matter, and your prompt attention in removing the offending materials. Special Agent [Redacted] – United States Department of Homeland Security. What is COTO’s motivation for writing and publishing such a HOAX? Evil Obama is out to destroy the world with his secret weapon! Would that be good election strategy? COTO didn’t write this; the link to the original article is at top. The motivation for reposting it, like all pieces here, is to present views of current events that are alternative to what corporate media reports, or doesn’t report. lighten up. speculative conspiracy theories get the creative juices flowing. The plane that crashed into an Alaskan mountainside and killed former Sen. Ted Stevens and four others was outfitted with an alert system that warned pilots of dangerous terrain…. She added that it was also unclear why that signal didn’t activate. Hersman told reporters that one of the survivors described Monday afternoon’s crash by saying: “They were flying along, and they just stopped flying.” The same survivor said he didn’t notice any changes in the plane’s pitch or hear any unusual engine sounds right before the plane went down about 17 miles north of Dillingham in southwest Alaska. chemtrails shenanigans, but I don’t begin to know. By the way, does anyone remember what happened in Poland? The plane crashed killing everyone in the government. political assassination via downing planes is pretty much recognized but what amazes me is to see this article in corporate owned media, European Times. this is the best time to grab it and repost it – in case they get a phone call and have to take it down. 1. Happened same time quake hit Alaska 1400 km west anchorage (home of hAArp). 2. Christchurch does in fact have a HAARP relay centre part of the Le Trobe Ubiversity TIGER SUPERDARN NETWORK. * of interest due to observed magnetic abnomalies which registered at this location a week before Boxing day Tsunami. There is possibility that a relay staion is located at Doubtful Cover West Coast (same fault line as Christchuch quake). The areas has a known magentic abnomly and used by subs to dodge satelite. More often than the area has been active 45km south fjiordland 10 km depth when larger quakes have registed (Haiti, Hinduras, Chile honduras) flight 477 Air France brazil (fernando de norha were savem radar net work is located). 5. Spike in aviation accident in West Coast (three within one wek all apprent electrical failures). The following are summaries of accidents and incidents that occurred recently. I may expand on each individual crash in an upcoming post. All accidents will be followed up as soon as their respective investigations advance a bit. de Havilland Canada DHC-3-T Turbine Otter – Ward Air – Juneau, Alaska: A Ward Air amphibious, turbine Otter made an emergency landing at Juneau International Airport (JNU; ICAO: PAJN) after a problem with the right side landing gear. According to a Federal Aviation Administration (FAA) report, the aircraft’s right side landing gear collapsed as it made the emergency landing. The pilot was aware of a landing gear issue soon after departing JNU. The incident occurred at approximately 9:30 AM. The aircraft’s registration is N63354. Flight 514 was a domestic scheduled passenger flight from Udachny, Russia, to Moscow. 7 September 2010, Tupolev Tu-154M RA-85684 suffered a “complete electrical failure”, leading to a loss of navigational systems. Close proximity to rejavke Haarp station. See aloso — EMTEK AS is a provider of electromagnetic technologies, methodes and services. The Company´s technology offerings consist of both controll source EM solution as well as passive EM solutions. The company is based on more then 200 years of expertise from research and projects based on various electromagnetic technologies and methodes. EMTEK was founded in 2007, headquartered in Stavanger, Norway with a branch office in Trondheim, and with two R & D centers in Russia. (Organised in two separate operational companies, EMTEK Prospecting and EMTEK Monitoring ) About EMTEK technology EMTEK technology is based on research and development intitally startet in Russia more then 30 years ago. Our R&D and survey teams consist of very experience engineers with unique understanding of EM, and EMTEK holds several US patents dating to the end the past millenium. FMA IA-58 Pucara – La Lola (Santa Fe), Argentina: A military twin-engine turboprop crashed for unknown reasons near La Lola/Reconquista, Argentina. A plane crashed in Venezuelan September 13, 2010) 9:50 AM local time. 17 of 50 people aboard were killed after the ATR-42-320 (registration YV1010) crashed for unknown reasons while approaching to land at its destination airport. Arrowtown helicopter pilot and businessman Mark Cotton had helicopter lost height and hit the water in a remote area near Fjordland on West coast NZ. Inspector not sure why his emergency beacon did not activate. * Morgan Saxton helicopter crashed into lake Wanaka in 2008 reporteldy he was textiong at the time but friends and collegues dispute this and say it was highly unlikely and had nevr been seen to do it before. 9 August 2010; de Havilland DHC-3T Otter; near Dillingham, AK: Former Alaska Senator Ted Stevens was one of five people killed when an turbine engine, float equipped Otter crashed into steep terrain during a flight from nearby Lake Nerka to a fishing lodge in the Dillingham, Alaska area. The pilot and four passengers, including Stevens, were killed, and four other passengers were injured. One of the survivors was former NASA administrator Sean O’Keefe. Coincidentally, the pilot who was killed in this crash was the father-in-law of one of the C-17 pilots killed the previous month near Anchorage, AK. This was not the first fatal plane crash in Alaska involving Senator Stevens. In December 1978, the Senator was one of two survivors of a fatal crash of a Learjet in Anchorage, Alaska. Both pilots and three other passengers, including the Senator’s first wife, were killed in the crash. —Mystery fire in San bruno which included reports of radio interfernce just minutes before the blast which took place 6 hours after miniquke hit area at 11:37 am local time. — “Giant” meteorite http://colombiareports.com/colombia-news/news/11683- San tander 3:15PM local time Sunday. known Savim network and site of Sept 12 Venezula air distaster . yeah, Ben – you got ahold of some data. There is a mystery around all of this. There quite a bit on HAARP on my facebook wall site Ben Vidgen. Role on in feel free to knock your self out – material visa EW/ UAV & European Aero Space and Defence sites on my blog The Vidgen Files. Not sure if its on my FB site but you well also find that the storm which broke out in same location Flight 447 (again very interesting passenger list – lots arms AI boys and corporate links to EADS onboard as there had just been an arms fair in Rio) Air france and a earthquake (4.6 depth 7km aprox) took place above a known SAVIM Surviellance network post. The storm can be followed back via saetelite photography past Cape Verde and Islands between Portugal and African where radar field islocated for shippig and communtication and then over Bermuda tracking station across US mainland and into Alaska. . The Bermnuda station recently became privately owned. If memeory serves me this was also the weekend that the USS George Bush began sea test in the Atlantic including a new EW weapons suite (A.I.) and uav stealth bombers . At the risk of sounding like Mel Gibson — there was also a shuttle flight at this time that past of Central America. If you cross referecne you well find that several shuttle flights cn be marked by reports of meteorite showrs (and sonic booms) on known shuttle routes. These are distinctive in that they are initally reported as satelite defence “missl;e tests” (tell that to the neighbouring satelites (usally owned identified as military satelites) — that get shredded by sharpnel traveling at 33,00 km an hour — before retraction are then issued. The French basein guinea also oversees Skynet (the UK based A.I. UAV multi targeting system – ah those kooky Brits and their dry humour) this described simply as finaced by the city of London – whatever that means) WHICH WILLBE FULLY OPERATIONL IN 2012. During Haitit I found little direct evidence (that stood up close scrutitny) of HAARP like symptons but it did remain intersting in light the quake coincided with a major exercise on would happen in the event of an earth quake in Central America – we do know that the us military also took the opportunity of Haiti to montitor social networking sites and information technology system to see how people gather news about the quake on line – so draw your own conclusions. back in 2004 my paper did a story on project Blue Beam after one site contributor suggeted this was test site for project Blue Beam, a holographic projector. the contributoe alleged their was a submarine base directly under port vila (where the earthquake hit) . Intrigued by the contributors tone and lucidity I did some digging and found not only could the technology being decribed be found to exist within mainstream news reports but it had being carried out by same unit of US Army Psyops later dispatched to Haiti in 1995. In addition I found online images of up to six German UBoats so close to Haiti shore that in one case the bow can actually be seen to be actally touching the beach at low tide. The identities of these u-boast is unknown while several more whose locations can be tracked and accouted for can also be found nearby. We know that the Germans only lost less than 40 or so uBoats so here we have 25% of the number never accounted for now found in one single location. Oddly the Uboats littered around Haiti are found in shallow waters plain as can be. This of course does not prove anything but is interesting especially in that Haiti due to its location is pivotal to control of Central America’s waters. The consequence is that overnight the US miitary has taken control of Haiti a much covet prize in the fight beteen USA and China over port control and control of mineral used for communication and military purposes in this part of the world. Back to NZ the timing coicides with exploration for oil up to 20 Trillion barrels are believed to exist in Southern Basin. Exploration coiniding with the completeion of the 1600 km lng US highway in Antarctica a year before the international moratorium against mining come to an end. Like wise the timing coincides with the singing ogf the Chinese Australian joint Antartica mining treaty. A piece in Wshington post reporting that America was complaining becasue the so called sesmic monitor the china had installed was spying on the American base (its actcally on NZ teritory) at Scott Amundsen where the US (se Dr Mark Tunstall and John Biesiada) operate up[per ionsperhic research relayed back to american university via MARISAT which fund by US Navy Space and naval warfare Command. Communication for this and other programs is relayed directly to Vandenberg Airbase and Poker Flat Alaska. Since 1990’s sesmic activity in Antartica over a year is roughly what Japans suffer in a month but remains a steep climb inrelation to there virtually being no quakes prior to 1995 in this faultes area. I have been continuing research into this stroy See The Vidgen Files (deadlinepublishing). One point of concern the story prime source is Sorka Faal an Eastern European blogger who has made many claims which frankly are bogus (e.g. last year she claimed NZ was in middle of majour outrbeak which proved downrigh false). Outside of Faal at this point we have no independent confirmation of Stevens /Okeefe links to HAARP investigations. However large chunks of this stroy however can are true and as it turn out I have a better than avergae chance of doing some digging here as Stevens pilot Theron Smith spent cosideable time in NZ (last year his plane crash after oil lines came loose) and we have mutal aquaintances who I will be following up on this to seek confirmation of key details. Still on hunt will post update soon once survived Christmas crazyness and my techie can figured out and fixed the reason for DEADLINE.NET website currently being unacessible (dam cyber gremlins) . Many thanks! Your link is for me really new, in contrary to the HAARP related informations, although the article is very good written, linked and researched. Nuclear waste, which is in other countries is a serious environmental problem to spread easily to foreign countries, causing untold suffering that will still be fatal for thousands of years, and name all these crimes against humanity “enduring freedom”, without regard to the total destruction of the own country and the threat of its own people, to spread lies and hate speech constantly, but spreading the truth to declare an offense, and why WikiLeaks declare as a “terrorist group”, those who refuse to participate in the crime to contribute to explain rogue states, and to arrogate to make their own depravity a benchmark for all other inhabitants of the planet? gaged in weather modification.doubting the capability of HAARP until I read the agreement with US & Canada excluding them of any damage that may be done via their Station..
Pingback: Charlie Sheen vs. the Devil? Why has people tagged this as “Obama’s weather war” or “Obama’s weapon” etc?? HAARP was constructed in 1993 and was around during the clinton and bush administrations. Its not an President Obama thing, although he may be advocating the usage like the presidents that came before him, it’s a government thing. Let be clear. where i can find the gru report? People, I think haarp was tested during the year of of katrina, but for the most part we are at the warmest point of our cycle. All the planets in our galaxy are aliangned perfectly, every 30,000 years we warm and cool, and we are on the warm side of the cycle. So enjoy the warm weather and settle in for many of mother natures tantrums she has bc she is feeling the affects of the galaxy alianing the polar poles shifting and the 30,000 year cycle.